After experiencing a loss, and a sudden loss at that, I’ve learned some important practical things. There are some things in life that you never think of…there’s stuff you never want to have to think of but you do. Death and loss open your eyes to some practical things in life that we should be doing and taking care of in life. When we lost dad, our world stopped and was turned upside down. We’ve had to figure things out that were typical “dad and husband” jobs. I’ve personally been doing the more heavy lifting and using more tools than I ever have in my life! But not everything is that easy to pick up. We’ve been at a loss financially and with insurance…you know, boring adult stuff! 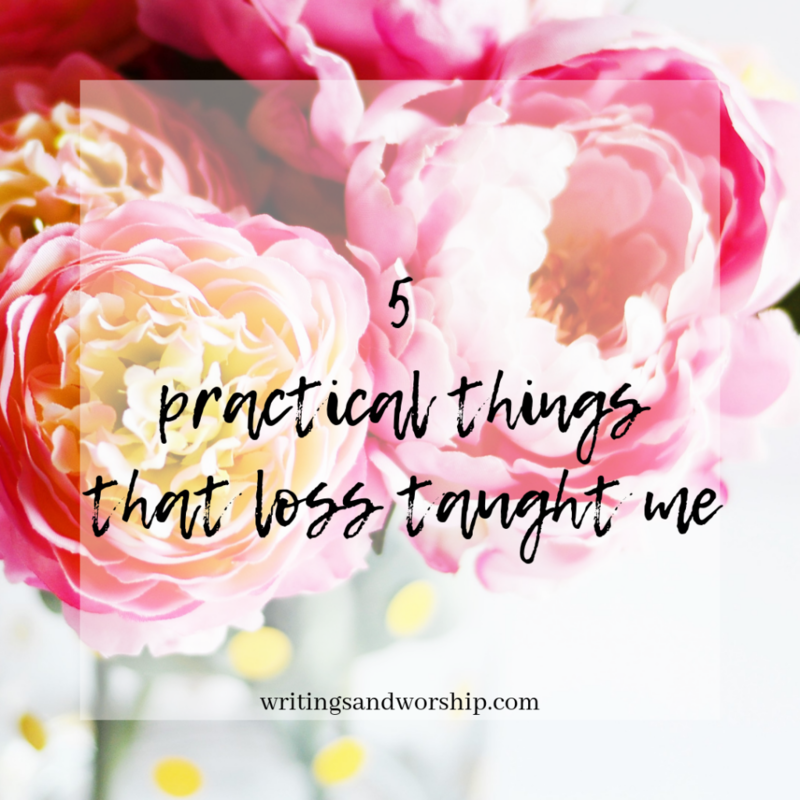 But today I wanted to share a few practical things that I have learned sadly because of our season of grief and loss. They aren’t things I wanted to have to know but I’m hoping that they might help you. Being prepared is better in case of any emergencies. It’s one of those things that you don’t typically think about until you need it. No matter your age, I highly suggest looking into and getting some kind of life insurance. My sweet daddy worked so hard to provide for us all my life. He had a very small amount of life insurance but I cannot imagine what we would have done without that little bit he had. When you lose someone suddenly, you are left in a daze. You might not be able to work for a few weeks and suddenly you have a lot more responsibility than you did. Having any kind of life insurance is a huge help to the family that is left when you pass. I know its something that you don’t like to think about or consider but for your families sake, get that life insurance. It’s the practical thing but the most important thing that the sudden death of my father has taught me so far. I know it sounds cliche, but it’s so true. Looking back at the year before my dad died, there were so many special moments that we had. I didn’t realize it then but they were experiences and moments that I would cherish forever. If I hadn’t been trying to live in the moment and take time with my family, I’m not sure I would have those memories. Take more pictures, do more activities, watch more movies, just spend more time together and be thankful for each day you have with the ones you love. After losing my dad, I wake up with more thankfulness each day than I have in the past. Death tends to wake you up to things like that. Each day should be special with the ones you love, no matter what you are doing that day. Just make memories and be very thankful. Don’t forget to thank God for those days you have with them either. My dad was my hero. He was exceptional at so many things…but the organization wasn’t one of his gifts. I’m laughing writing this because it was so true. He worked tirelessly, did anything you would ask of him, and was a talented occupational therapist…but paperwork and keeping things organized was his one fault. Because of this, we’ve had some tricky times trying to find some files and important papers because his ”filing system” was a little hard to follow. One of the most practical tips that losing my dad has taught me is that there needs to be one central location for all important papers. Even as an adult, my parents still have a lot of my paperwork…so even that should all be in one spot. Insurance papers, house papers, car leases, birth certificates, passports…you name it. Keep it all together and keep it somewhere everyone important knows the location. I know this probably seems like an obvious thing, but often its something you don’t really think of discussing as a family until its too late. I have spoken a lot on grief in the last year. If you want to see all those posts, click here. But one thing my dad’s death taught me was the fact that there is no right or wrong way to grieve. Everyone grieves differently and no one can tell you how to do it. So often we have preconceived notions on what grief looks like but until you experience it, you do not really understand. There is also a lot of different levels of grief I think, but no matter the level or the way…grief is grief and it is awful, hard, and painful. Grief can be crippling so you deal with it how you need to. In my opinion, how you grieve and handle that grief should be between you and God…and that’s all that matters. I’m not saying everyone should have their funeral planned and money set aside in an envelope that says “funeral.” But it’s good to think ahead. Whether that’s setting aside some money each month for emergencies or having a chat with your spouse about hard things like funerals…I just say think ahead. Not in a morbid way, by any means, but I think it’s good to plan for the future and we don’t always know what the future will hold. One way I have learned I should have thought ahead was having my dad teach me how he handled their bills and medical insurance…then I would have been better equipped when he past. Sometimes thinking ahead is just learning to be self-sufficient and know how to handle all the adult tasks.